Come on Apple, Where's the MacBook? "For the first time since I got my Mac Plus in 1988, I'm counseling people against buying a Mac. And I think I need to share my reasons. "...in the laptop market, Apple has made what I think is an error. And I can't understand how they haven't been called out for it. "Still, you say, Apple is still selling the iBook! And the 12- and 17-inch PowerBooks! There are lots and lots of machines to choose from! "No, I answer, shaking my head sadly. You see, those machines are all two generations old. They all run the G4 processor. At least with the non-Intel desktops, you can get a G5 processor. But the laptops all run G4s . . . that was yesterday's news more than a year ago. Why would you buy one now, knowing that Apple has already moved on to the next next best thing?" "Seth over at MacMove stirred up some controversy this week when he more or less suggested that Apple's current laptop lineup is a mess. His whole article is worth a read, but in a nutshell he thinks that Apple blew the whole thing up by moving the fifteen inch PowerBook to an Intel processor while leaving the entire iBook line (and the rest of the PowerBook line) on an aging processor in the form of the G4. Since we all know that all of the remaining G4-based laptops are potentially a heartbeat away from going Intel, they're all currently a bad buy, leaving potential Mac laptop purchasers with only one good choice (the MacBook Pro) whether it happens to suit their needs or not. "Truth is, I largely agree with him, and not just because he happens to be a friend of mine. If I were buying a new Mac laptop today, there is only one model I would look at. But while he sees the MacBook Pro as the problem, I see it as the opposite: thank god we finally have one good laptop model. Beats the pants off of what we had back in 2005, when they all sucked. "Lest someone go and get the wrong idea, let me be clear here: by using words such as 'good' and 'sucked' to describe the various Mac laptop models, I'm only referring to their speed...."
I've had to live with a twelve inch screen for the past nine months, which has turned out to be not nearly so awkward as I had feared. The whole experience has turned out . . . more positively than I had thought, and so at this point I want to wait for the 12 inch MacBook Pro (if not the 12 inch MacBook) to hit the market, so that I can at least give it a spin in person, before deciding which path to go down. Link: Come on Apple, Where's the MacBook? "1. You will get fired for losing your data, but you will not get fired for losing your laptop. Well, maybe you will get fired for losing your laptop; I don't know your company's policies. But I do know I have never heard about a company being forced to make a public announcement because an employee lost a laptop. I have read lots of stories about companies being forced to announce they lost customer data." "Macworld has already had its say on both the 1.83 GHz and 2 GHz MacBook Pro laptops. But as impressive as those models are, neither the 1.83 GHz configuration nor the 2.0 GHz version can lay claim to being the fastest MacBook Pro. That honor goes to the built-to-order MacBook Core Duo/2.16 GHz. "It took awhile, but our shiny new, MacBook Pro 2.16 Core Duo with speedy internal hard drive has arrived and the test results show that these more expensive upgrades definitely pay off in terms of performance. Whether the increased speed is worth your extra dollars depends on who you are and what you do." "Once upon a time, about when they pulled Moses out of those bulrushes and set him on his successful career with the Israelites, I had a petrolhead friend of the female persuasion who had an XJ6 Jaguar that she felt needed a boost in the engine room. "An admirer - not, I hasten to add, myself; I was merely an awestruck spectator of Boadicea reincarnated - worked for one of those body shops that turn out of their back doors rather more cars than they take in at the front. Among his 'overs' the bloke had a Chrysler V8 of six or seven litres that, just for her, he installed beneath the Jag's bonnet. "The result was spectacular. Even now, years later, if the lady ever came back from wherever it was she fled to, the highway cops would still be looking for her. "If you think about the new Intel-equipped MacBook Pro (and, yes, I am getting used to the name), it is not very different from that Jaguar. It has been given a quite different, and more powerful engine, an Intel Core Duo chip - two processors on the same block of silicon - but has retained its design elegance and beauty." "Equipped with a 2-GHz Intel Core Duo Processor, Apple's MacBook Pro looks great, runs great, and has some fine new capabilities. But it lacks several features, and it has the same performance issues as the Intel-Based iMac. "The MacBook Pro is a joy to use. At 1440 by 900 pixels, the screen is sharp and bright. It comes with a built-in Webcam, Front Row media-playing software, and an infrared remote control. The unit handles basic productivity tasks with aplomb, and Apple applications run very fast. "That said, our $2499 shipping unit lacks standard PC notebook options such as an S-video port, a modem, and a PC Card slot (its ExpressCard slot isn't PC Card-compatible). Its DVD write speed is only 4x, and it can't yet burn double-layer media. The laptop also lacks a FireWire 800 port." Belkin's new Flip lets you share one monitor, keyboard, and mouse between two computers, allowing business professionals to now bring home their work laptop and easily plug it into their home setup. By simply pressing a small, stylish remote, you can easily switch from one computer to the next. The remote stays on your desk while the base and cables remain hidden for a cleaner desktop. Flip will ship in North America in early April. According to a Forrester Research Report in February 2005, approximately 73% of laptop owners owned at least two computers. With two computers, people are seeking methods to keep their desktops free of extra peripherals and cables. They also want a more comfortable way to use their work laptop when they bring it home. Flip solves both problems by giving access to both computers without the added peripheral bulk and by enabling connection of your laptop to your home computer devices easily. By allowing you to connect your old and new home computers, you can easily access files and programs using the same monitor, keyboard, and mouse. Flip also offers the added feature of letting you share one set of speakers between computers(a). Flip fully supports any combination of PC and Mac desktop and notebook computers for use in any home or work environment. You can view and purchase them on the Belkin website, as well as through a network of major distributors, resellers, and superstores. "According to the company the dashboard (or the interface of the card) is now compatible with Macs and Apple users will be able to surf the web remotely at speed of up to 384 kbps. "The company thinks that Mac users are an ideal target group for the 3G card. Bill Morrow, CEO Vodafone UK, said, 'Users of Apple Macs have a rich variety of working habits that we believe are ideally suited to the 3G environment. From business people through to designers and photographers - all of these professional communities have sub-groups, characterized by heavy and frequent mobile data use, that are devoted to the Mac.'" "Vodafone UK has begun offering Mac OS X drivers for its 3G Mobile Connect Card, enabling PC Card adaptor-equipped PowerBook owners to connect to the Internet at (potentially) broadband speeds when they're miles away from the nearest Wi-Fi hotspot. "Vodafone 3G Mobile Connect CardVodafone's 3G card is made by Belgian data card specialist Option, which has had Mac OS X drivers in the pipeline for some time, along with Linux code. Since Option currently offers its 3G cards only through network operators, such as Vodafone, it only makes said drivers available through those partners - and even then, they have to ask for them." PR: This small and lightweight USB adapter enables non-Bluetooth equipped computers to take advantage of the plethora of emerging wireless Bluetooth peripherals and devices. Bluetooth is a short-range wireless connectivity protocol which allows several devices to reliably network, or connect to your computer simultaneously. Cutting-edge Bluetooth wireless connectivity lets you finally cut all the cable clutter in and around your workspace. Keyboards, mice, printers, cell phones, PDA's and speakers are just a few of the many types of Bluetooth devices now widely available. Weighing in at a luggage-friendly 6 grams, this USB Bluetooth Adapter won't add to your load, and internal status LED's allow you to monitor connection status at a glance. 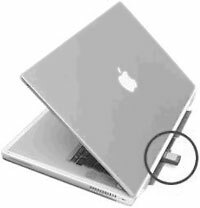 Easy Setup: Connecting the DBT-120 is simple - no drivers needed for Mac OS X, just plug in and go. Small and lightweight - perfect for on the go use. BT Class II - Supports standard HID profile: keyboard, mice, trackballs, pens, tablets, etc. 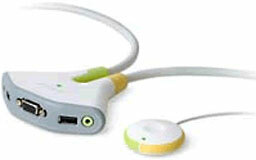 Also supports networking - including file transfer and dialup, serial port, info sync and headsets. 10 Meter free space range - control your computer or peripherals from across the room! Frequency Hopping Spread Spectrum technology minimizes interference from other devices. PR: teleport is a simple utility to let you use one mouse and keyboard to control several of your Macs. It works on Panther and Tiger (sorry, no more Jaguar support). Simply reach the edge of your screen, and your mouse teleports to your other Mac! The pasteboard can even be synchronized between the computers. Important note: There was an issue in teleport pr3 where the "Share this Mac" checkbox was not working. Please update to teleport pr3.7. teleport is currently a Preview Release. teleport is freeware. You can freely distribute it without modification. PR: UnPlugged is an application to notify when the power cord of the Mac is unplugged or plugged in. Notifications are done using Growl - or with a Alertwindow when Growl is not installed. Linked to 10.3.9 as well so it should work there, too. With the release of the MacBook Pro, Apple also introduced a brand new power adapter that uses the MagSafe connector. While this innovative new feature can save your laptop from being jerked off the table by a careless passerby, many people have complained that their power adapter becomes unplugged inadvertently without them ever knowing it. This can be a huge problem when you pull your laptop out in the airport to put the finishing touches on your upcoming presentation only to find that it was mistakenly unplugged and the battery is completely dead. ChargerChecker is a small app that works in conjunction with Growl to give you an onscreen notification when your laptop's charger is connected or disconnected. After installing Growl use the Accounts pane in your System Preferences to add ChargerChecker to your login items and never worry about a discharged battery again. PR: Power Check provides audible and visual alerts to iBook and PowerBook users when changing from battery to AC power or visa versa. It depends on Growl and Play Sound. New in version 0.4: All new config setup during first time the application is run. Now stores preferences. User selectable audible alert. "Intel wants notebook component makers to agree to a series of connectivity standards to simplify the swapping of parts. "The Interchangeability Initiative focuses on seven key components, which Intel believes can be based on category-common interconnects - or 'common building blocks'. Hard drives, keyboards, optical units, displays, batteries, power adaptors and chassis can all be standardised to allow system builders to add in whatever parts they prefer." TechRestore offers a $25 discount to 'Book Review readers off any PowerBook or iBook in stock. Just enter the code CWM during checkout when ordering online. The coupon code is valid from now through 2007.12.31.